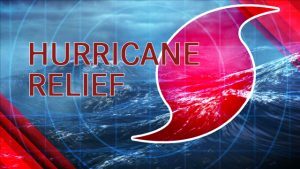 Friends of the AIC, below you will find information to the latest University and state Hurricane Florence relief efforts. Tribal Leadership have been monitoring the needs of their communities. They are in the process of identifying needs at this time and will know more as soon as travel is safe and curfews are lifted. We will be sharing information as soon as we are updated as to the specific needs of the affected tribal communities, particular those of the Coharie, Lumbee and Waccamaw Siouan, all in southeastern North Carolina. Additional relief efforts are listed below! 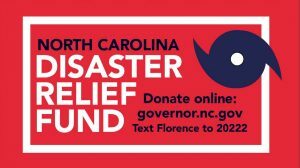 Note, if you have items that are being requested for donation, we ask that you please take those items to the locations listed via the Carolina Center for Public Service’s website on specific dates listed there. Note: We are updating this page as tribal leaders inform us of their specific needs! Check back frequently, as their needs will change. Another way to support the Waccamaw Siouan Tribe at this time is to send supplies to the Buckhead Fire and Rescue Department located at 6810 Old Lake Road Bolton, NC 28423. Contacts are as follows: Vice Chair of Tribal Council, Pamela Jacobs (910) 234-1294 and Buckhead Fire and Rescue, Stefan Jacobs (910) 612-0195. The Buckhead Fire Department main number is (910) 655-8940. If you would like to send monetary donations to aid the Robeson County victims of Hurricane Florence you may write a check to “Burnt Swamp Baptist Association” at P.O. Box 1207 Pembroke, NC 28372. Please be sure to Memo: “Hurricane Donation.” Rev. Steve Strickland, BSBA Director of Missions, will ensure your donation is accounted for. Workers who are or may become unemployed due to Hurricane Florence may be eligible for Disaster Unemployment Assistance (DUA). To start the process, the easiest and most efficient way to file is online. https://des.nc.gov/des To begin, click on the sign up link in the upper right hand corner of the website or call 1-866-795-8877. Please note, they are processing calls as quickly as possible. You may experience longer than usual wait times while on hold.